DJ Xquizit arrives to Edge with a bang with this awesome hard techy remix of the anthem of the 250th release of our sister label Silent Shore: ReOrder & Manuel Rocca with MSK - Worlds Unite. This riveting techlifter is perfect for revving up your peak-time dancefloor. It keeps the uplifting vibe of the original but adds lots of power and energy and excitement. The breakdown builds up to a euphoric techy section, followed by an uplifting section featuring the return of the melody. 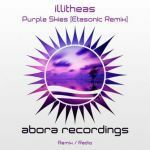 Whether you love hard clubby uplifting trance or tech trance, you will love this remix. For those of you uplifting fans who don't like tech trance, the release also includes an 'Uplifting Edit' made by Ori Uplift and DJ Xquizit. 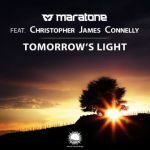 This edit removes all the tech-trance sections of the remix and adds some more uplifting-trance sections, including a bit of piano. The result is a club uplifting trance track. This release is the re-launch of our Edge EDM Records sublabel under a new name: 'Edge One'! 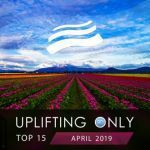 The sublabel, whose many successes include two ASOT Future Favorite wins, will continue to provide you with the best in club uplifting, techlifting, and tech trance.